Nickelodeon is sticking with their family of superheroes. 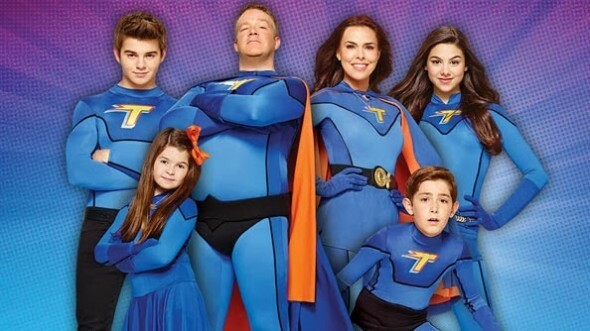 The cable channel has picked up a second season of The Thundermans for another 20 episodes. Eight episodes of the current season have aired so far, leaving 12 to go. The next original installment airs Saturday, January 4th, at 9pm. What do you think? Does anyone in your house like The Thundermans TV show? Are you glad to hear that there will be a second season? More about: The Thundermans, The Thundermans: canceled or renewed? What!?! They cancelled it? Why? It’s awesome. My cousins love it, and so do I. You haters, go plant your hater seeds somewhere else! The thundermans are awesome, they should get it back in. It is a really stupid show. I find no comedy in it. In fact, Nickelodeon is getting lazy with their shows lately, about 5 or so have been canceled in the past year. Why do you watch it then?!?! This is the best show in the world!!! But it doesn’t look like it is ever coming back on! It’s terrible! So stupid! It needs to be cancelled! It’s garbage. Then don’t watch. Its a great family show.